If you have set up a Samsung account and are activating after performing a factory data reset, you may be required to enter your Samsung username and password. Wi-Fi Calling settings don't transfer after switching devices and/or performing a factory data reset. You need to enable Wi-Fi Calling manually if you want to use it. 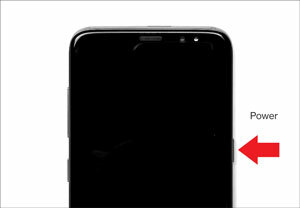 If powered off, press and hold the Power button until the Samsung Galaxy S8 / S8+ screen appears then release. Select the appropriate language then tap OK. Tap Voice Assistant switch to turn it on . From the Phone Activation screen, tap NEXT or ACTIVATE NOW (if available). Allow several seconds for deactivation of the old device to complete. If presented with the Set up Wi-Fi screen, tap SKIP (in the lower-right). From the Sign In with your Google Account screen, tap SKIP. From Date & Time, adjust if needed then tap NEXT. From the Protect your phone screen, select No, thank you then tap SKIP. From the Google services screen, tap any of the service switches to enable (in the blue position) or disable (in the gray position) then tap I AGREE to continue setup. Install and Configure Verizon Cloud.